The American College of Sports Medicine is the largest sports medicine and exercise science organization in the world, with over 20,000 members. Founded in 1954, the ACSM has continued to provide research, education and certification opportunities for individuals in the fields of sports medicine and exercise science. The ACSM produces a variety of fitness guidelines as educational tools and references for both researchers and exercisers. Included in these guidelines are their Body Composition Guidelines for Men and Women, providing body fat percentage standards for males and females across a range of age groups. Trained professionals can measure your body fat percentage through skinfold measurements, bioelectrical impedance analysis or BOD POD measurements. Those with lower body fat percentages generally have less risk of cardiovascular disease, according to the American Heart Association. To be considered well above average for body fat percentage if you are male, based on ACSM guidelines, your body fat percentage must be 7.1 to 11.7 if you are between ages 20 and 29, 11.3 to 15.8 between 30 and 39, 13.6 to 18 between 40 and 49, 15.3 to 19.7 between 50 and 59, and 15.3 to 20.7 over age 60. For women to be well above average, they must have a body fat percentage of 14.5 to 18.9 between ages 20 and 29, 15.5 to 19.9 between 30 and 39, 18.5 to 23.4 between 40 and 49, 21.6 to 26.5 between 50 and 59, and 21.1 to 27.4 over age 60. These levels of body fat are typically seen in highly trained athletes. Women are considered above average for body fat and risk of cardiovascular disease, according to the ACSM, when they have a body fat percentage of 19 to 22 between ages 20 and 29, 20 to 23 between 30 and 39, 23.5 to 26.3 between 40 and 49, 26.6 to 30 between 50 and 59, and 27.5 to 30.8 over age 60. Men are above average when they have a body fat percentage of 11.8 to 15.8 between ages 20 and 29, 15.9 to 18.9 between 30 and 39, 18.1 to 21 between 40 and 49, 19.8 to 22.6 between 50 and 59, and 20.8 to 23.4 over age 60. Men have average levels of body fat and risk of cardiovascular disease if they have a body fat percentage of 15.9 to 19.4 between ages 20 and 29, 19 to 22.2 between 30 and 39, 21.1 to 24 between 40 and 49, 22.7 to 25.6 between 50 and 59, and 23.5 to 26.6 over age 60. For women to be average, the numbers are 22.1 to 25.3 percent fat if they are between ages 20 and 29, 23.1 to 26.9 between 30 and 39, 26.4 to 30 between 40 and 49, 30.1 to 33.4 between 50 and 59, and 30.9 to 34.2 over age 60. Women are below average for body fat and have a higher risk of cardiovascular disease when they have body fat percentages of 25.4 to 32 between ages 20 and 29, 27 to 32.7 between 30 and 39, 30.1 to 34.9 between 40 and 49, 33.5 to 37.8 between 50 and 59, and 34.3 to 39.2 over age 60. Men are below average when they have body fat percentages of 19.5 to 25.8 between ages 20 and 29, 22.3 to 27.2 between 30 and 39, 24.1 to 28.8 between 40 and 49, 25.7 to 30.2 between 50 and 59, and 26.7 to 31.1 over age 60. 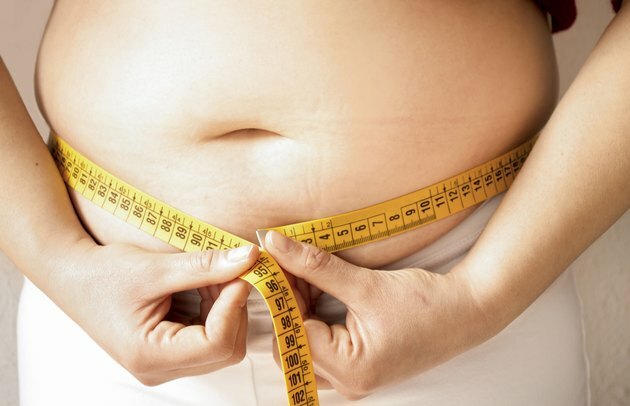 Individuals who are well below average for body fat have the highest risk for cardiovascular disease and obesity-related afflictions such as diabetes and metabolic syndrome. Men are well below average with body fat percentages equal to or greater than 25.9 between ages 20 and 29, 27.3 between 30 and 39, 28.9 between 40 and 49, 30.3 between 50 and 59, and 31.2 over age 60. Women are well below average with body fat percentages equal to or greater than 32.1 between ages 20 and 29, 32.8 between 30 and 39, 35 between 40 and 49, 37.9 between 50 and 59, and 39.3 over age 60. What Is the Glycemic Index of Cauliflower?